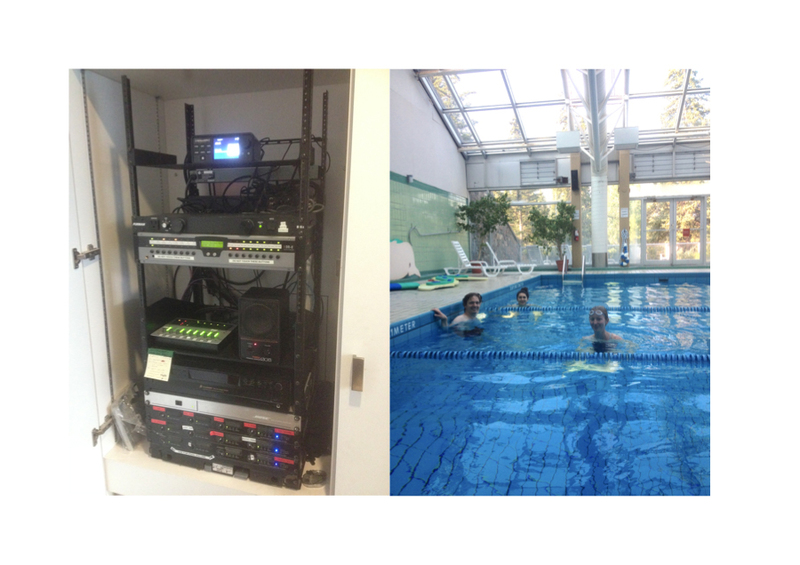 Artur Vidal, MPhil candidate, Sound arts, CRISAP, LCC reflects on his recent AER residency with Banff Centre, Alberta Canada. Last August, as part of an AER residency I had the opportunity to take part in the Outdoor School residency program at the Banff Centre. This institution, that is situated in a national park and was originally created in 1933, aims, according to its website, “to inspire artists and leaders to make their unique contribution to society”. Banff is the name of the city situated nearby that is mostly dedicated to tourism. Before white settlers came to this area, this territory was the home for Stoney Nakoda, Blackfoot and Tsuut’ina Nations. The Outdoor school program designed by artists Amish Morell and Diane Borsato brought “together visual artists with an interest in outdoor culture and recreation, field naturalist practices, experiential modes of learning, ecology, and the environment.” As part of this residency program there were twelve other artists mostly coming from Canada but also from United States and Europe. In addition, artist Tania Willard joined us for a few days to give a talk and visit our studios. My project originally consisted of working on a publication of text scores inspired by composer Pauline Oliveros. This kind of work aims to increase participant’s awareness by developing a creative practice of listening. Relying on Oliveros’ idea that ‘we are all sounds’, in my own research I am particularly interested in studying the complexity of each single sound as well as to understand how to bring together (or compose with) sounds that are different. Three episodes particularly drew my attention during the residency. The first one took place during a workshop that I organized to share with the other artists in the program some of Oliveros’ compositions. During this gathering we performed in the Banff Centre yurt a piece that consists of making a sound with the voice and at the same time trying to identify everyone else’s sound. Another piece consists of choosing a continuous source of sound in the environment and imagining alternative sounds. We also performed a piece that invites participants to hold hands and send a pulse around the circle by pressing their partner’s hand. Simultaneously participants shout the sound ‘ah.’ All these pieces invite participants to listen in different ways (paying attention to the environment, to other participant’s sound, to sounds in their mind…) and create a group dynamic. When we were performing the last piece, one of the participants was so sensitive to loud sounds that we could not perform the original score. We then decided that instead of shouting the sound ‘ah’ when pressing the hands, we would just whisper. This episode was particularly inspiring as it introduced the idea of a radical sensibility and invited us to improvise an existing score for playing together. The second experience that particularly drew my attention was the visit of indigenous artist Mike MacDonald’s Butterfly Garden. Situated just outside of our studios this work consists of a garden that grows native plants. As this art work has been there since 1999 it can happen that non native plants also grow there (sometimes birds bring seeds from other locations). Helping the gardener to remove certain herbs she did not want there, we found a rhizome that is a root on which are connected different plants. Being curious about these different plants growing on a single piece of land (or even on the same root) I started to imagine what would that be if this garden was made of sounds. What if, when Oliveros says that ‘we are all sounds’, the pronoun ‘we’ also included those plants? 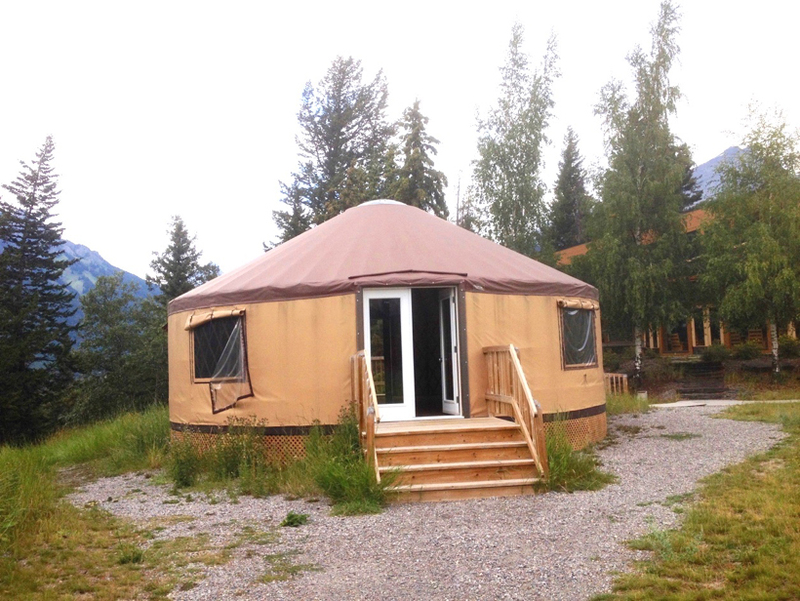 The third experience consisted of visiting the Stoney Nakoda nation family camp. During this public day event that took place in the outskirts of Banff we could see young people learning traditional dances and listen to traditional music. We also had the chance to hear an elder praying in Siouan language. These sounds resonated within the recent history of Stoney Nation people: between 1890 and 1920 indigenous were excluded from the national park and until at least the 70s children were forced to attend residential schools designed to destroy their culture. If there is such a thing as a ‘sound of resistance’ we certainly had the opportunity to hear it on that day. As part of the residency I created two booklets with text scores that work as ‘recordings’ of interesting meetings, conversations and experiences I had with people in Banff and other places. 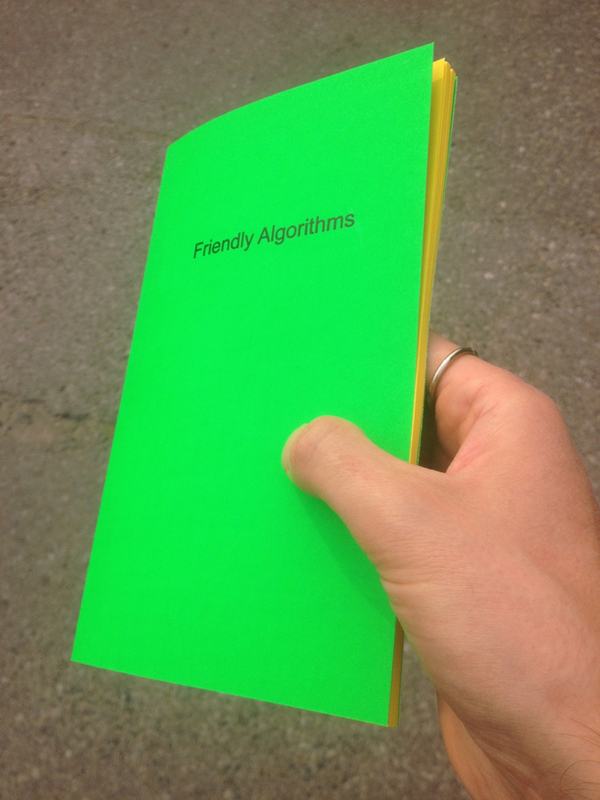 I finished the first one during the residency (Friendly Algorithms) and will finish the second one very soon (The Hum in the Valley). A second project that I did was related to the everyday music at the Banff Centre that was played in restaurants, in the sport centre and in residential spaces. As part of this work I did some research and found out that the playlists we could hear at Banff Centre were created by a private company and sent via a satellite system. Reflecting on what could be an alternative way of creating and playing music in these everyday spaces I started to work on the Butterfly Playlist. The work consisted of three different moments. During the first moment I opened my ears to the sounds I could listen to in Banff. This would include concerts that were taking place there, conversations and environmental sounds. From this practice I created a playlist that I then played back in the Banff Centre using their sound system. One of these sessions took place in the sport centre (https://open.spotify.com/user/arturvidal2016/playlist/2d8E2X6KgxsFiV6DL9uZ51). The last part of the piece consisted of a public conversation about musical playlists. 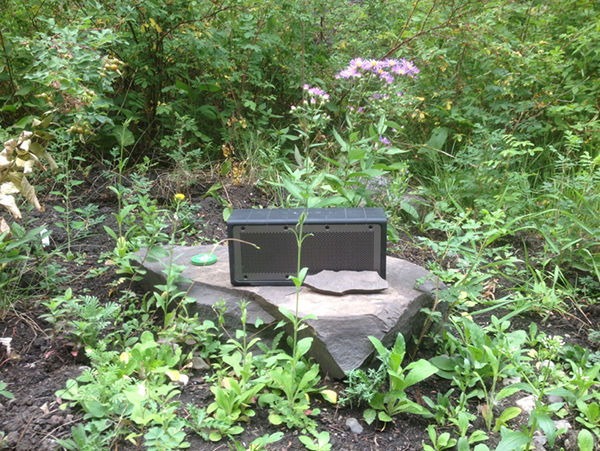 Another project I did consisted of performing a musical piece in the forest near the Banff Centre based on a score that focused musician attention towards environmental sounds. For working on this piece I had the chance to collaborate with musicians Daniel Bruno (trombone) Sebastian Saez (trumpet) and Cléo Palacio-Quintin (flute). The residency gave me the opportunity to develop work I had already initiated before coming to Banff but also to create new pieces and initiate new formats for developing future research. In addition to this I had the chance to meet with some very interesting people in conferences, performances or simply during breakfast or lunch. These people, whose work I strongly recommend you to look at, include artists Jeanne van Heeswijk, Carolina Caycedo, Tania Willard, musicians Pamela Z, Anne Bourne, Beth Coleman, Silvia Tarozzi, dancer Michael Schumacher and cultural critic Macarena Gomez-Barris. In 2015, internationally acclaimed artist Professor Lucy Orta, UAL Chair of Art for the Environment – Centre for Sustainable Fashion, launched the Art for the Environment Residency Programme (AER), in partnership with residency programmes across Europe. Applicants can choose from a 2 to 4 week period at one of the hosting institutions, to explore concerns that define the twenty-first century – biodiversity, environmental sustainability, social economy, human rights – and through their artistic practice, envision a world of tomorrow.